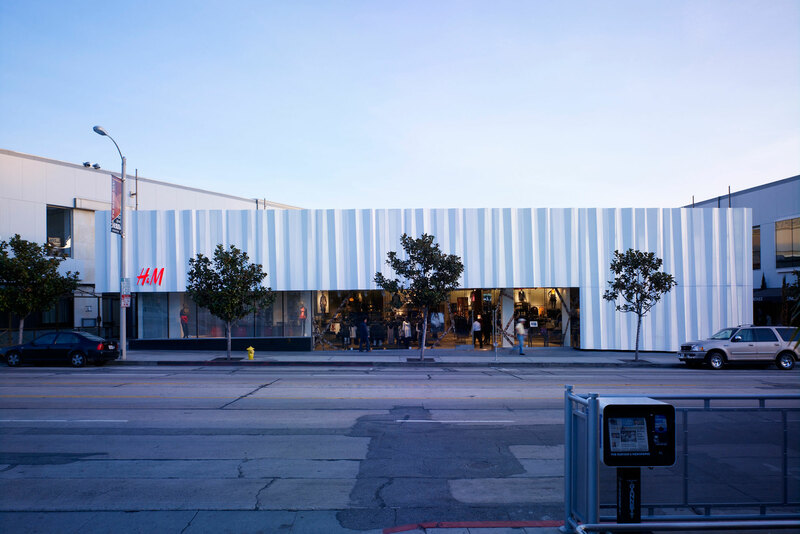 H&M approached Universal Design Studio with a brief to turn their buildings into eye-catching, iconic destination stores that would communicate the global and progressive direction of the brand. 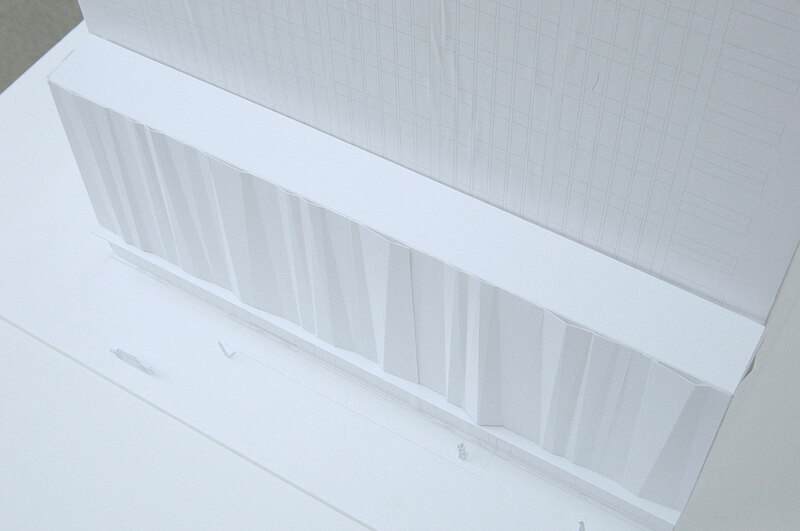 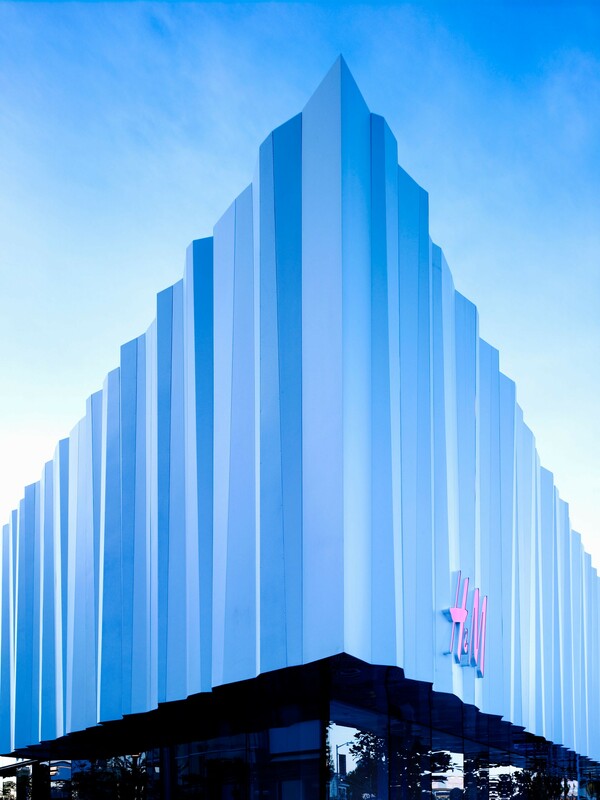 A unique architectural identity was conceived that would give the new international H&M flagship stores presence in a highly aesthetic and design conscious market. 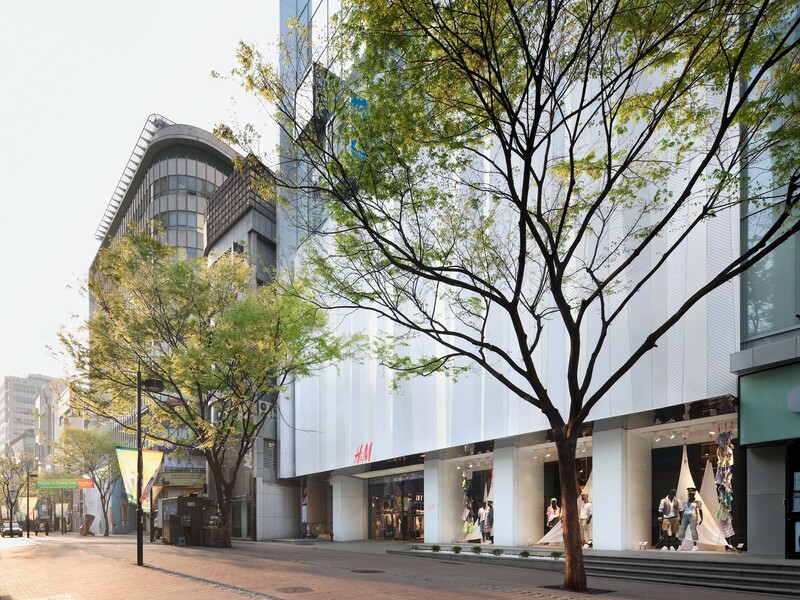 After launching in Asia, the design proved so successful, that it was established as H&M’s global identity and applied to stores worldwide. 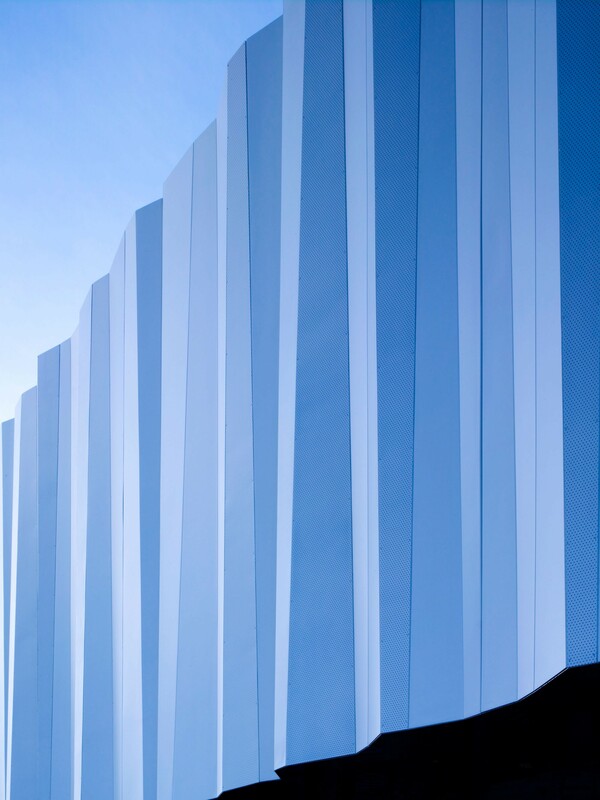 To distinguish the brand in the international retail landscape, a rigid geometric pattern was developed as the basis for the façades and interiors. 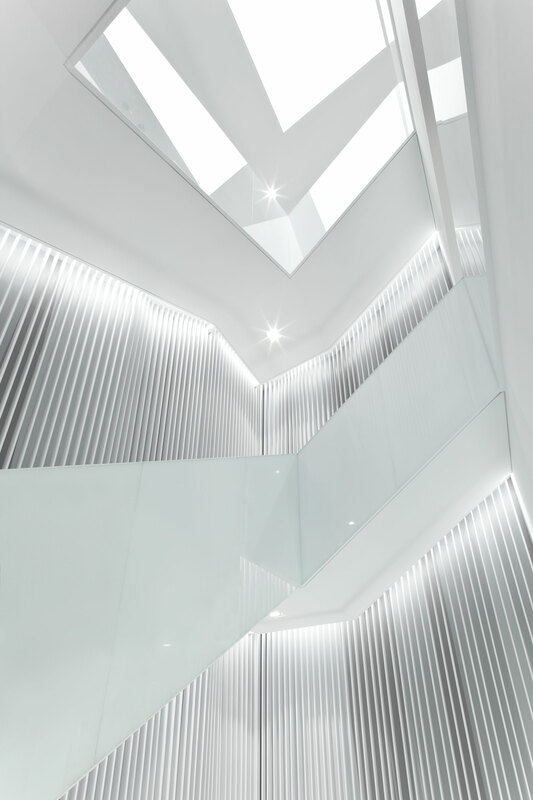 Although seemingly random and unstructured, the pattern was created as one that can be repeated in numerous combinations and translated into various materials and mediums. 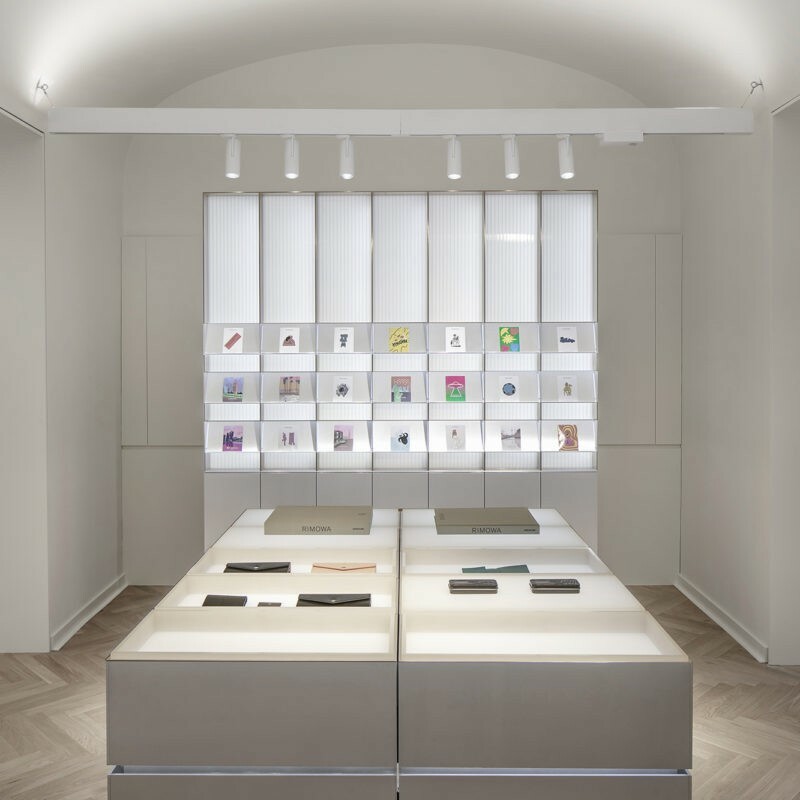 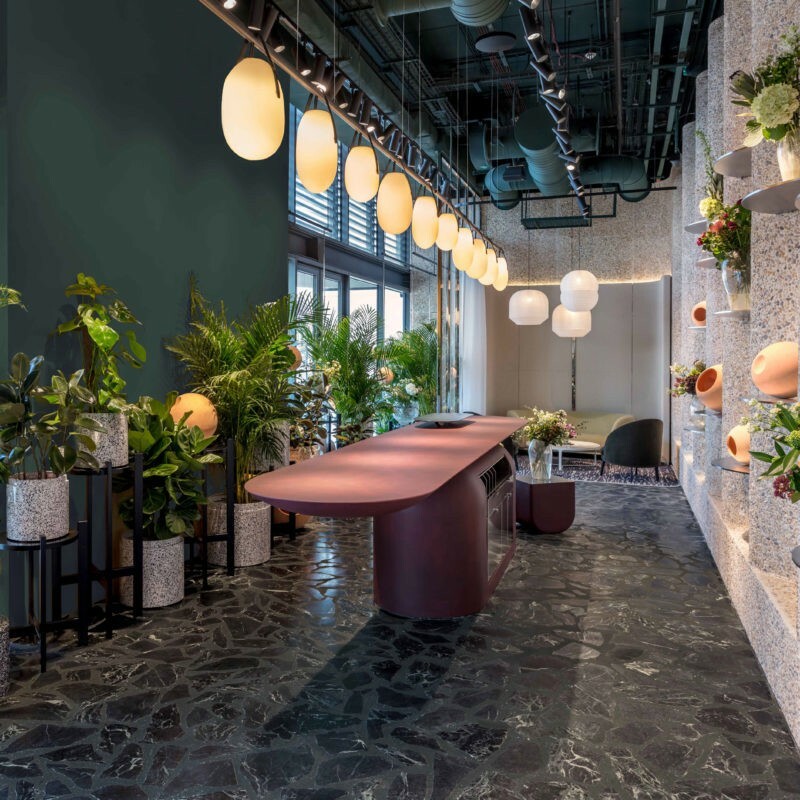 Universal’s understanding of scale, structure and form enabled the design to be applied to any store around the world, maintaining brand consistency, whilst offering the versatility to accentuate the individual identity of each site. 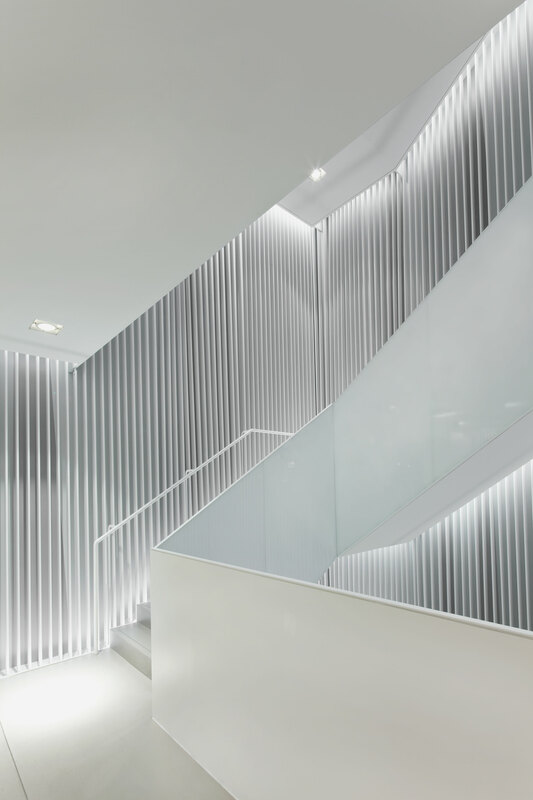 The interiors additionally include a dramatic concept staircase made from white glass and lined with vertical louvres. 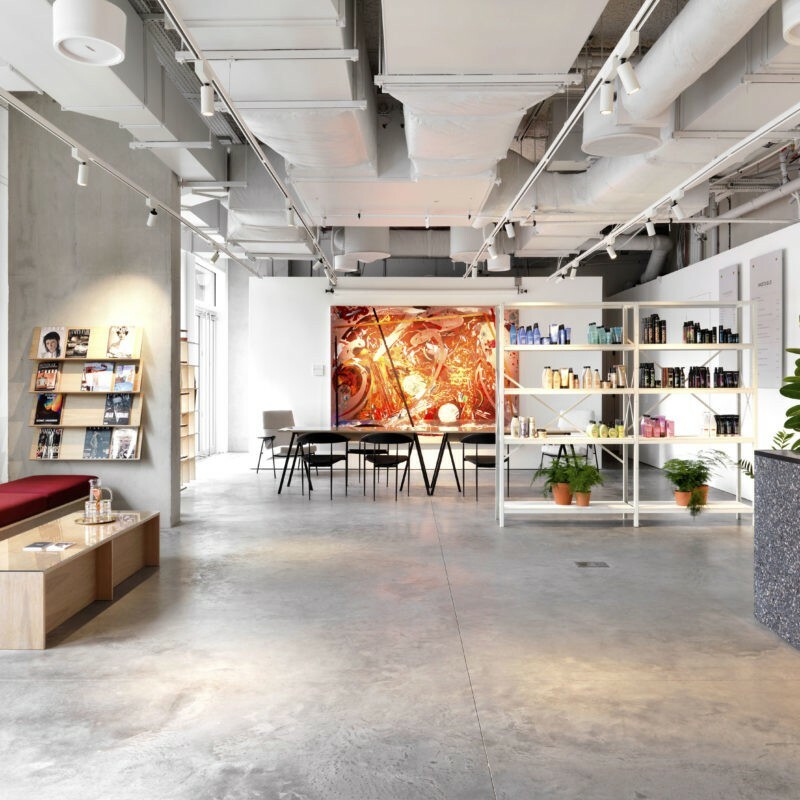 Adopting the same lighting and contrast techniques as the façade, a dynamic environment was created that engages customers to guide them through the store. 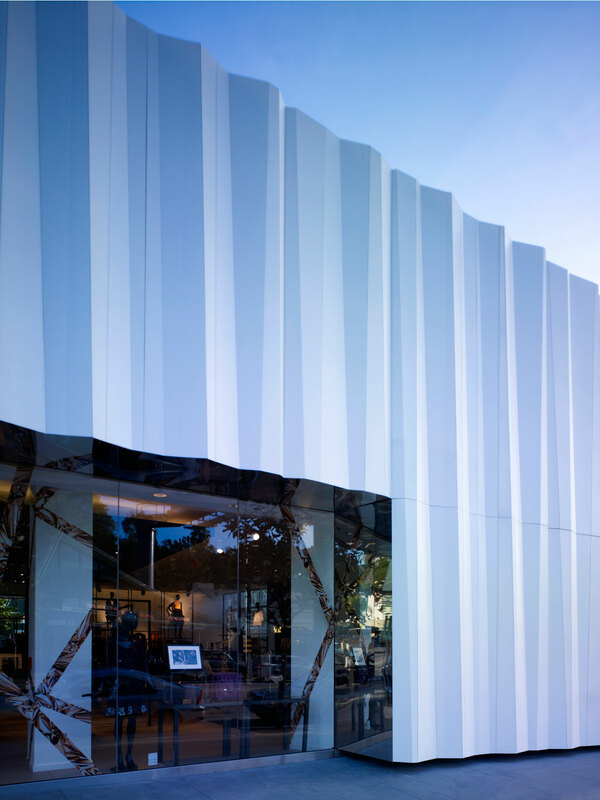 The striking, three-dimensional façade of the Sunset Boulevard store in LA is constructed from folded aluminum panels with a painted finish. 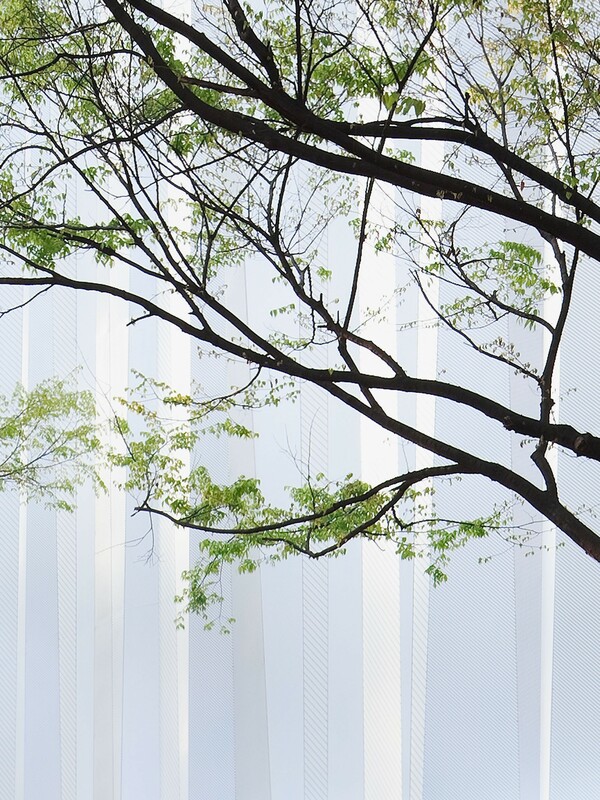 Small and large-scale perforations produce tonal contrast and visual depth to the panels, which allow light to radiate from the building at night, making the form visible 24-hours a day.